LPG Summit is proud to announce our Nigeria LPG Summit 2019! 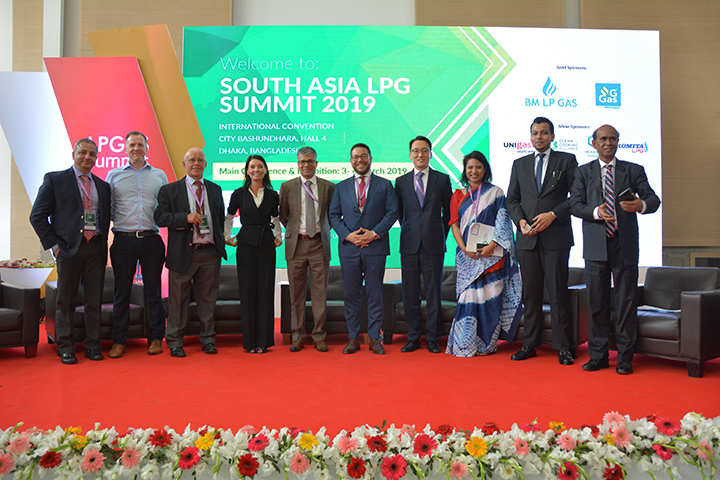 The South Asia LPG Summit 2019 kicked off on the 3rd of March with a fantastic opening ceremony that was decorated by the most prominent people in the LPG industry in Bangladesh giving an overview of the domestic market and the reasons for its amazing growth over the past 4 years. The esteemed panellists agreed that the reasons for exponential growth was in part due to the initiatives taken by the government, LOAB (LPG Operators Association of Bangladesh) and other regulatory bodies. They were optimistic on the continued growth and strength of the LPG market in the coming years and this was supported by 3 main global trends: the growth of LPG production in North America, the growth of consumption by developing countries such as Bangladesh, and the relative price stability of LPG over the past 4 years. Further credit was also given to the government on the smart policy changes to move the transportation and power generation industry away from the use of natural gas towards LPG. As LPG is an extremely affordable source of clean energy it can help the government reach its sustainable development goals by 2030. It was stressed that to keep up this explosive growth, regulatory bodies need to develop new policies and ensure ‘tough’ enforcement of already present laws. The speakers said holding such summits help improve the overall situation of the industry through developing best practice guidelines from countries with more developed LPG industries. It was further agreed that the fact that the Summit is being held for the third year running, it shows that there is continued interest in the sector. The numbers also show that in the last 4 years, another 20 million new LPG users have been converted to using LPG from other traditional fuels. The investment of over 1 billion dollars in the industry has compounded this growth and demonstrated further positive impact by reducing deforestation and other health related issues from people using traditional fuels. This growth in the market however, has not come without growing challenges, with the speakers all agreeing on safety being a key factor to keep a very close eye on. The panellists all also agreed that the market needs to continue increasing public awareness so that safety can be maintained without a growing increase in problems such as cross filling and non-compliance that result in accidents and loss of life – with each incident, LPG’s reputation is only tarnished. This decreases public perception of the viability and overall safety of LPG threatening its continued growth. LOAB did make a request to all LPG operators that a common synopsis of safety requirements should be laid out and that it is absolutely crucial for the development of LPG in Bangladesh’s in the coming years. It was reiterated that even though the industry is moving along the right trajectory towards a sustainable LPG industry, the industry needs to bear in mind, that consistent and focused policy will be essential to reach the country’s end goal of a sustainable LPG industry for the years to come. There was also a special presentation on some very interesting facts and figures on the global LPG market. His findings showed that LPG production is growing globally compared to other oil products with most of this growth coming from North America in terms of production and China, in terms of gas processing. It was identified that key driver was primarily the availability of cheap shale gas. It was said that the future outlook for LPG markets is that there will be incremental production from Asia, Middle East and North America. A major factor for continued growth of the LPG market is that LPG is a by-product of crude oil and natural gas deposits and needs to be used somewhere because it will be produced when mining the primary resource. It was also mentioned that the autogas market looks to have peaked out and that there will be limited growth in the sector as road transportation looks to be moving in the direction of electric vehicles rather than LPG powered ones. There will also be increased demand of LPG in the near future which will predominantly come from Asia due to the continents strong GDP and population growth, good LPG infrastructure and good subsidy programs from many of the countries there. LPG – Transition fuel or here to stay? The first panel following this presentation was a discussion to decide on whether LPG is merely a transition fuel to renewables or if it had a legitimate position in Bangladesh’s energy mix. 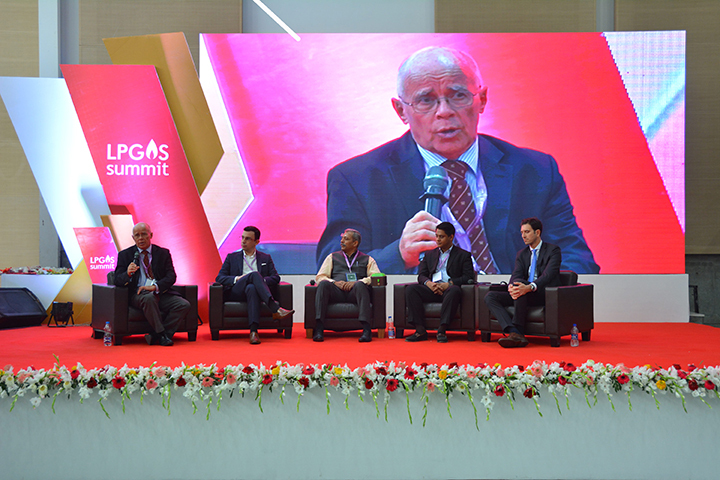 The panellists all agreed that Asia Pacific is the giant where it comes to LPG use and that within 2 – 3 years’ time the region will be using more than 50% of the worlds LPG. 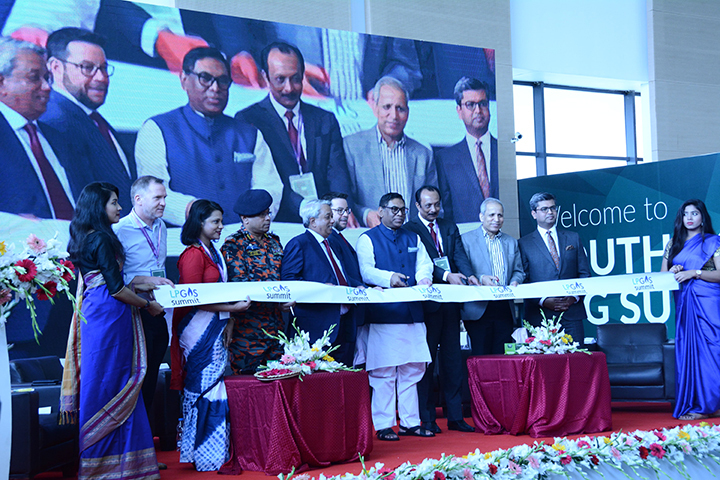 Within this region it was also stated that Bangladesh is the fastest growing LPG market in the world and is a direct result of the government’s policy switch to move away from natural gas use and substitute it for LPG especially in the residential and commercial sectors. One exciting prospect that was brought up was to use LPG in a reticulated pipe gas system and the eventual move away from cylinders. It was noted that with this tremendous growth of LPG use in the country that this will be the fuel to sustain Bangladesh’s 4 – 7% annual GDP growth. This represents the global economic shift in sustained GDP growth from western nations to eastern ones and yet things are only just beginning. This tremendous growth in LPG use has come even despite the fact that LGC (Large Gas Carriers) and VLGCs (Very Large Gas Carriers) are still unable to dock at Bangladesh due to the lack of a proper LPG port or terminal and that it was time for Bangladesh to have one. It was clear that the beginnings of a plan to develop at least one terminal are in the works and that there was interest from many of the panellists to work together on developing an LPG terminal. It is expected that completion of the first LPG terminal in Bangladesh will be completed by 2025. They all agreed that the completion of a terminal would allow LPG to be supplied at a cheaper price and facilitate the current strength of the LPG industry in Bangladesh. To put things into perspective, the current growth of the Bangladesh LPG market 20% conversion of solid fuel users who would be able to switch over to LPG, which is about 20 million new users – yet this puts LPG’s market share at only 3% of the total available market! The panel also touched on the safety aspects of LPG use and that Bangladesh is moving towards a market that is getting safer. It was stated that from 2017 to 2018, the number of LPG related accidents has gone down to 662 from 852 and from 81 deaths to just 16. The root cause for these accidents was identified as increasing rural domestic use without strict adherence of compliance issues by dealers and end users. The way to reduce further accidents was to develop further activities to increase public awareness and regulate dealers. Currently there is a lot of difficulty in enforcement of standards and there is no proper monitoring system in place to ensure that they are upheld. The Fire Service and Civil Defence did express that they are keen to work together with all stakeholders involved to better the industry to make the industry disaster resilient. 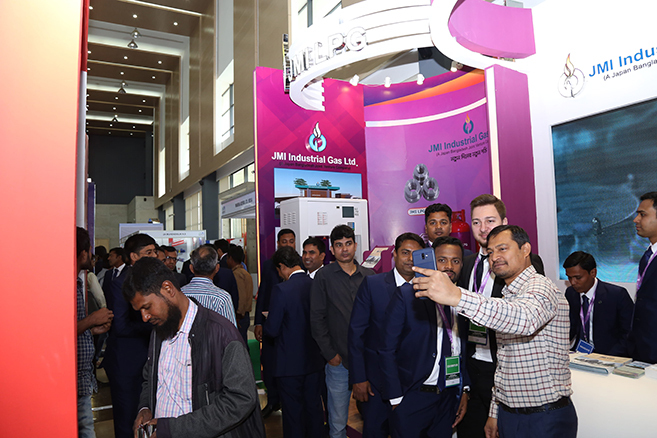 It was also acknowledged that LOAB can play a major role in increasing the safety standards of the industry with guidance from the WLPGA which has spent a lot of time developing global standards in good practices for LPG use. The panel concluded that short term gains should not be the focus of this fast growing industry and that to ensure sustainability, growing market penetration through increasing awareness of safe use was the key to secure LPG’s place as a long-term fuel source that is more than just a transition fuel in Bangladesh’s energy mix. The last panel of the day was on the LPG infrastructure challenges in Bangladesh. The panel covered broadly the main issue with existing infrastructure in the country which was the lack of a deep sea port that could offload and facilitate the transfer and storage of LPG. As mentioned in the previous panel it is believed that putting a focus on bringing down the price of LPG will allow for it to compete directly with natural gas even without the already strong government policies in place supporting the growth of the LPG industry. It was also agreed that one terminal would be sufficient for the time being despite there being talks by numerous companies to develop more than one in the near future. There seems to be a strong focus on growing the market by supplying larger and larger amounts of cylinders. This growth may seem very attractive but the question was raised that, is this form of growth really sustainable? 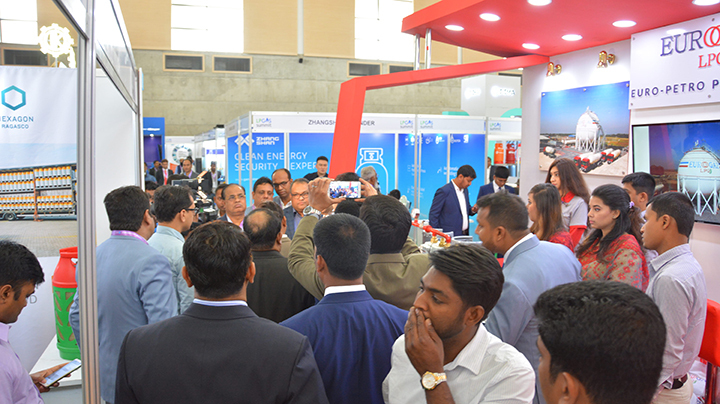 It was pointed out that Bangladesh’s LPG industry is currently in the neonatal stage and that companies need to be very careful about investing huge CAPEX into cylinder inventories as these cylinders will need to be recertified, maintained and eventually replaced. There should be much more impetus on avoiding the pitfalls of poor cylinder maintenance which could lead to some very nasty accidents and a tarnished image of LPG use in the long run as an unsafe fuel. 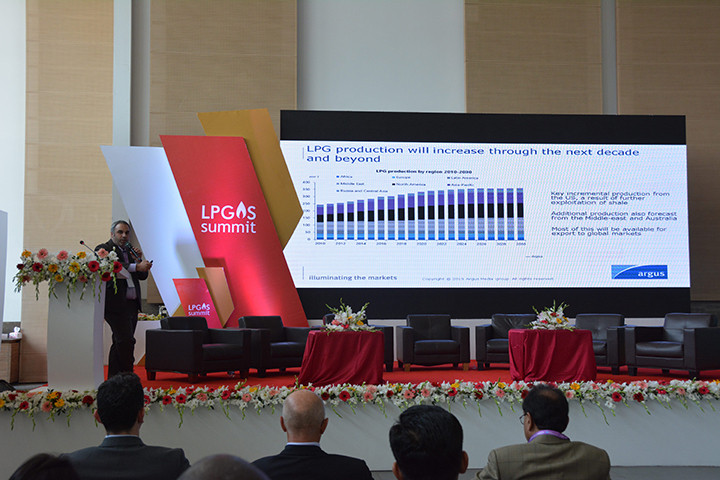 Some other points that were noted were the fact that natural gas is still very much more affordable in Bangladesh as compared to LPG with natural gas costing around 4 – 7% of household income per month compared to LPG costing around 20%. The event began on Day 2 with a very interesting panel discussion on innovation in the LPG industry and what kinds of products are coming into the market that might just revolutionize the LPG industry followed by the very popular topic of Natural Gas and whether it is really a friend or enemy to LPG. The first panel covered some interesting products that have come into market and are slowly becoming the norm. The internet of things (IoT) is slowly moving across all industries and the LPG industry is no exception. Smart Meters with Pay-as-you-use and Tank Monitoring systems are in essence digitizing the LPG industry. Pay-as-you-use systems are giving LPG operators the power to provide end users with gas, without them having to pay the full upfront costs of purchasing a full tank at a single time which is a major barrier affecting the proliferation of LPG use in rural and poorer communities. These systems give operators the ability to collect unique data about their customers such as monthly use, cooking times and even what users are cooking, which can be determined by the length of time that the stove is on. Tank Monitors also provide data to LPG operators that allow them to increase their efficiency which will save the money and provide them with much needed data that can be used to further enhance their business through marketing, consumer profiling and even increase sales. Natural gas – friend or enemy? The second panel discussion was extremely popular and following the recent explosion at Chawkbazar had many people questioning the safety of LPG compared to natural gas. The panel unanimously agreed that LPG was a safer fuel, but the panel’s focus was on whether the two different fuels were competitors in the same industry or complimentary fuels with different applications. The panel came to a number of conclusions that here in Bangladesh, previous government policy led to poor use of the country’s natural gas reserves by providing it so cheaply to the public. One example made, was that 30 years ago, people in Bangladesh would even leave their gas burners on without turning them off so that they could save themselves from using a match to restart the fire! 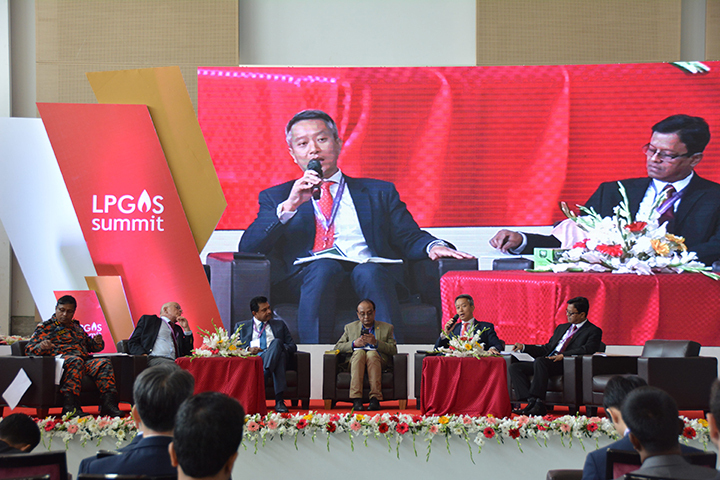 The panel agreed that as Natural Gas reserves in the country are quickly becoming depleted and the fact that Bangladesh has become an importer of LNG, that prices will rise, and natural gas will no longer be able to be used for domestic uses such as cooking. It was accepted that Natural Gas needs to be used more wisely and LPG is the gas that will fill this application. One very interesting point that was made was that Natural Gas should be prioritized for the manufacturing of fertilizer in Bangladesh as the government’s intention to save Natural Gas for other uses such as power generation is causing fertilizer manufacturers to shut down. The shutting down of local fertilizer manufacturers is leading to the importation of fertilizer products and this is resulting in skyrocketing fertilizer prices which is destroying the fertilizer manufacturing industry in Bangladesh. This only reinforces the fact that these two forms of clean energy have very different uses and should not be seen as competing fuels. It was concluded by the panels that LPG and Natural Gas have various uses in the industry and that the only use whereby they compete against each other is in the power generation industry. Yet even with this, it was also mentioned that in areas where Natural Gas is not immediately available, LPG can be used as a starting fuel to power these plants and Natural Gas can be transitioned to after, because the infrastructure needed in these plants is very similar for both Natural Gas and LPG. The conference resumed with the Good Industry Practices Workshop that was conducted by David Tyler from the WLPGA where he covered some basic facts about LPG and how safe it is to actually use when used correctly. He brought to the participants attention why accidents happen when people use LPG and that it is always due to improper storage and handling of the gas while the gas itself is very safe and that combined with the current technology that exists in pressure release valves makes it one of the safest fuels in the world to use. He also debunked the myth that LPG is an extremely high pressure gas that is ready to explode with the slightest spark, showing that in actual fact LPG is no more pressurized than that of a bicycle tyre! He also went over the factors that influence the life of and LPG cylinder and what the life cycle of a cylinder is like explaining that a cylinder goes through various stages from design to manufacturing, to filling, to maintenance repair & requalification and eventual scrapping. The conference was brought to a close with a career session for students where industry veterans and academics gave students and fresh graduates insight into what the future held for them when they go out into the working world. Many stories and tips were shared on what they should do during their studies and also before they begin searching for employment to prepare themselves for the job market in the LPG sector. The Nigerian Federal Government has announced plans to grow demand from 600,000 tons to 2 million tons by 2025. The Nigerian National Petroleum Corporation (NNPC) said in January that it is ready to implement an effective commercial framework that would halt export of propane and butane to surrounding countries in a move to boost supply of LPG to the local market. As the country has been exporting most of their LPG, it has significantly hampered the markets growth leading them to import LPG for its own domestic use. By stopping their imports, the nation is setting itself on track to bring LPG prices down and drive market penetration like never before! The Government has also decided to start issuing licenses to select LPG operators this year to put them at the forefront of the cylinder recirculation module, giving operators the power of cylinder ownership which should quash illegal refilling activities significantly. The LPG market in Nigeria has been priming itself for tremendous growth and the time is finally at hand. Find out how you can take advantage of this amazing movement by the local government to boost LPG use in the country to grow your LPG market share in one of the fastest growing economies in the world now!